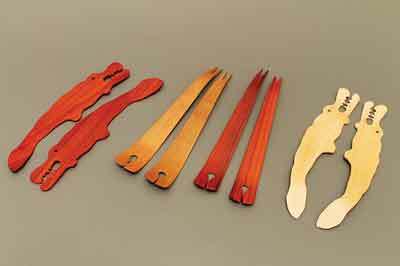 There are a number of different methods you can use to create curved parts from straight boards. Bending methods include laminating, steaming, hot-pipe bending as well as, on a commercial level, a little-known Danish patented compression process that produces hand bendable hardwoods. John Bullar demonstrated a version of hot pipe bending in F&C a few years ago and made good use of the chimney stack from his wood burning stove to shape pieces for a violin case. Out of necessity woodworkers are, it seems infinitely resourceful as I found out on a recent visit to an old woodworker's shop. What I discovered might be described as a variant technique of hot-pipe bending: steam-iron bending. 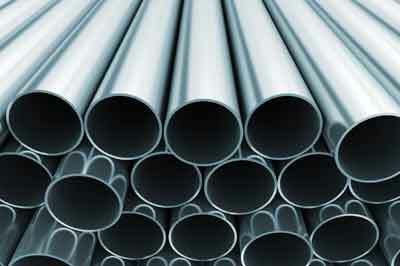 Steam-iron bending is like hot-pipe bending except that the source of heat is a domestic steam iron and an aluminium bar instead of a pipe. I agree at first this technique might look a little Heath Robinson but it works and doesn't require you to light up the stove when it's 30° outside. Although I refer to the use of a steam iron in this article there is in fact no steam used in the process and before commencing you should be sure to drain the appliance of any water. For similar reasons, sand all workpieces before soaking them in the preparation step and before bending. After they are bent and their forms are set, finish sand the workpieces, usually by hand, to remove the raised hair as well as any burn marks. To use the steam iron method, you need to make a bending iron, which consists of three components: an electric steam iron, an aluminium round bar - about 130mm in length and 50mm in diameter - and a handle holder. 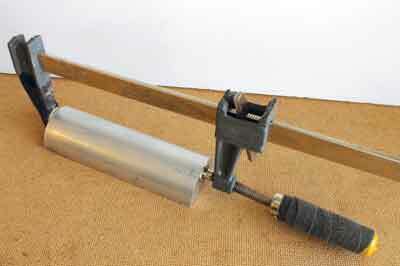 You can use a bigger or smaller round bar to suit your type of bending work. A bigger half-round bar is desirable for gentle curves while a smaller bar may handle acute and tight curves better. 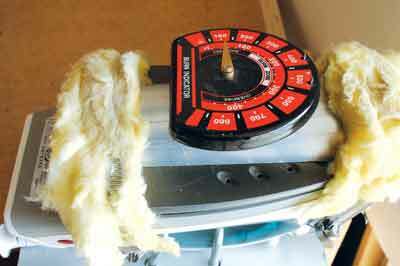 You can still use one steam iron and change the bar from one to another. But a new steam iron can be had for just Â£10 or less; if you do a lot of bending, it will save you time to have a second steam iron with its own bar of a different size. Also, gather these supplies before you start: some thermal fibreglass insulation and lengths of band clamps. The first step is to cut the round bar in half lengthwise with a hacksaw, or on the bandsaw with a metal-cutting blade. Remove the saw mark on a benchtop sander or with a belt sander. I used an F-clamp to hold the bar end to end when sanding. I used band clamps to hold the bar to the soleplate. The band clamps are insulated from the bar and iron with 25mm-thick fibreglass. To allow the bending iron to be clamped in a vice, I mounted the steam iron to an angle iron with two U-bolts around its handle. 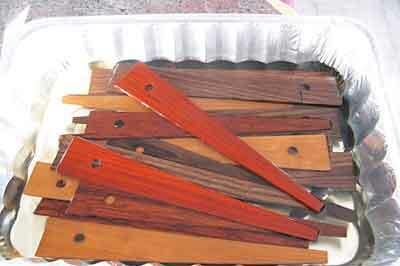 Before bending, you need to choose and prepare your stock properly. Woods that bend well have these characteristics: straight and consistently grained, air-dried, and thin and narrow. My choices are usually ash (Fraxinus excelsior), beech (Fagus sylvatica), black cherry (Prunus serotina), hickory (Carya spp. ), maple (Acer campestre), oak (Quercus spp.) or walnut (Juglans spp.) that is no more than 6mm thick and 75mm wide. 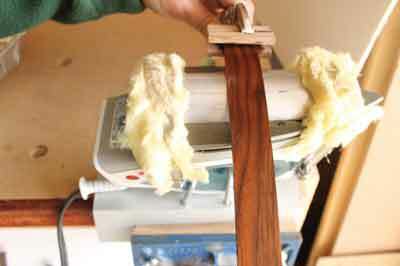 Avoid softwoods, exotic hardwoods, burls, figured or curly wood, and wood with knots as they can break during bending. After choosing and sizing your wood to the desired dimension - allow an extra inch on both ends for holding - soak in water for 6-8 hours. 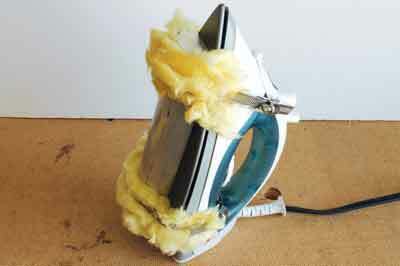 Study the safety notes in the sidebar if this is the first time you have tried steam-iron bending. 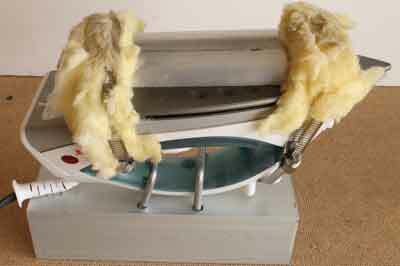 Clamp the bending iron in a vice and switch on the steam iron. You can use a wood-stove thermometer to set the temperature to about 100°C or place a few drops of water on the bar and observe. If the droplets bounce or skitter off the bar, instead of sticking on it, that is hot enough for bending. 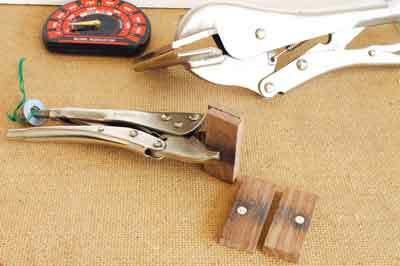 For a short piece, hold the short end of the wood with a pair of vice-grip pliers and gently roll it on the bar back and forth with steady, increasing pressure for about 5-15 seconds a time. To prevent scorching the wood, moisten the 'burned' side with a wet sponge or cloth from time to time. 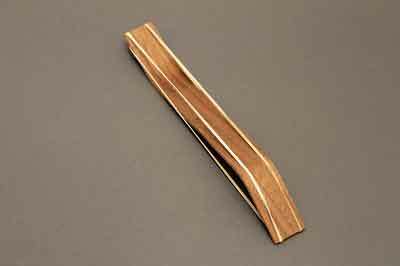 Keep bending the piece to the desired profile and then bend it a couple of millimetres further to allow for spring-back, which varies among wood species and grain types. You may have to experiment a little here to reach anything like predictable or uniform results. I find that a few spares tends to cover most things. Once the desired curve is reached, keep the shape intact by clamping or holding the wood to a setting form while the wood cools and dries. For the pair of salad tongs, I held the shape with rubber bands. Leave the setting to sit overnight and you'll be ready to put on a few coats of food-safe finish to complete the project. After choosing and sizing your wood to the desired dimension - allow an extra inch on both ends for holding - soak in water for 6-8 hours. Charles has chosen aluminium as the material for the bending anvil or former, which is not a bad choice. All materials have a thermal conductivity - k = W/(m.K) - which indicates the quantity of heat energy transmitted in a standard unit of time. This is a useful characteristic and anyone using a sauna has experienced the benefits. Wood - for example pine (Pinus spp.) measured across the grain - may have a 'k' value of 0.12; balsa is 0.055! This very low number means that if you heat the timber to a higher than ambient temperature, let's say 100°C in a sauna, it is not capable of releasing that heat energy with any speed, hence when you sit on the wooden slats they feel too hot for a split second, then nothing as heat transfer is so slow. Having used a recently refitted sauna and not looking where I sat, I can tell you that when a steel wood screw - 'k' value around 46 - is not countersunk enough, it is capable of transmitting its own heat energy quickly enough at this temperature to cause a burn in a fraction of a second. Am I the only person with a slot-head screw 'branding' somewhere you can't see? 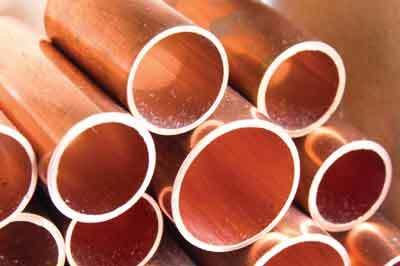 Now copper, we know, is an excellent conductor and may have a 'k' value of over 400. Aluminium is about 205+ and all of these values are relative to the temperature. The thermal conductivity is an important safety consideration as the higher the value, the more quickly that heat can transfer into, and cause damage to, skin. 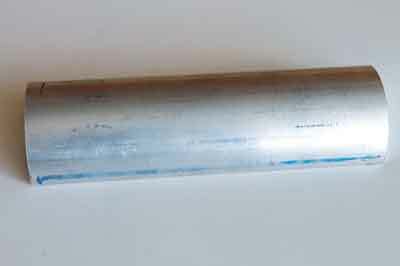 Charles suggests using a temperature of around 100°C and that means a contact burn from aluminium would be almost instant so, even taking care in working, it is strongly recommended you wear gloves that provide thermal protection, preferably to standard EN 407 - performance level 1 or 2 - as an absolute minimum. The author refers to using a steam iron and any flat iron can be used but under no circumstances should you try to use a water-filled iron in this way, as he also confirms. Using glass fibre or other fibre insulation would cause a release of fibres into the air each time the iron was handled and they are a skin and eye irritant. A far superior material, although costing around Â£12, would be Cool-It exhaust wrap or similar, which is available from Demon Tweeks, along with a range of thermal protection products that can be useful. A few short pieces can also be used to protect exposed areas of the iron sole, the most likely place you will touch and be injured by. 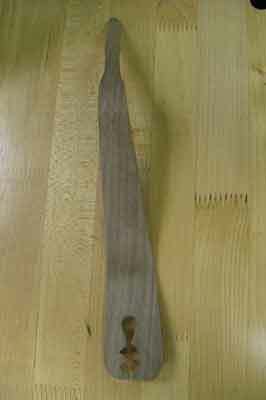 Use a single layer, then place a few pieces of thin plywood over the top to enclose the sole around the aluminium bar. In a work situation, taking an item and making significant modifications like this would be subject to The Provision and Use of Work Equipment Regulations, and there are serious requirements relating to CE - Compliance and Evaluation - marking. In many cases lots of paperwork can be involved, recording how the changes were made, what legal standards are involved and how their safety has been accounted for. At home you can do what you like.